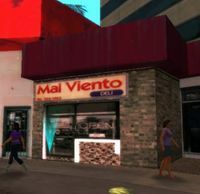 Mal Viento is a small-time chain of delis on the Vice City Mainland in 1984, the setting of Grand Theft Auto: Vice City Stories. 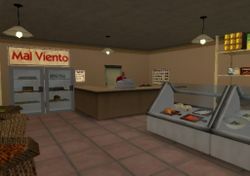 There are three stores located in Downtown Vice City, Little Haiti and Little Havana, with the latter paying protection to Victor Vance after the mission "Shakedown". The name of the deli is Spanish for "evil wind." This page was last modified on 8 June 2011, at 16:14.